I was recently interviewed by B.L.A.C. Magazine. The story focused on the high cost of No Fault insurance, and the crisis resulting from more than 50% of Detroit drivers who do not have auto insurance driving on the road today. It starts with very high auto insurance rates in urban cities like Detroit that many people cannot afford. Here’s the full story: High Cost of Insuring Cars in Detroit. Let me start by explaining the crisis: There’s an epidemic of uninsured drivers in Detroit because the No Fault premiums are so high, despite the law requiring all drivers to carry No Fault insurance on their automobiles. In Michigan, rates are also based on ZIP codes and credit scores. And the average cost to insure a car in Detroit for one year is a whopping $5,948, roughly $495 a month, according to the Insurance Institute of Michigan. 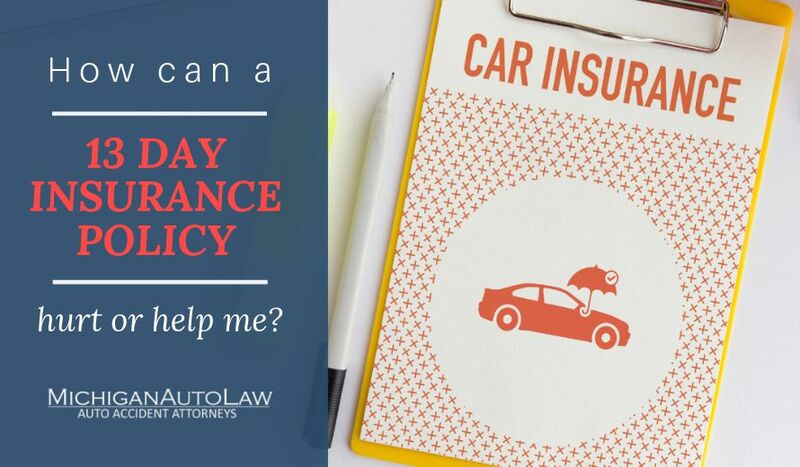 The Michigan No Fault laws provides unlimited necessary medical benefits to seriously injured automobile accident victims for life, and Michigan drivers are required to buy personal injury protection (PIP) coverage as part of their policy, which now costs $186 per vehicle. As I told the reporter, Trevor W. Coleman, while Michigan’s auto accident coverage is the nation’s best for automobile accident victims, it’s cost-prohibitive for the working poor in our inner cities. Meanwhile, the state’s Insurance Commissioner R. Kevin Clinton is one of the only insurance commissioners in the nation without the authority or power to keep insurance companies from gouging consumers. This, plus credit scoring, is a double-whammy for people who live in urban cities like Detroit. What most people don’t know is how draconian and punitive Michigan law is for uninsured drivers. When a driver is uninsured, he is barred under our law from suing for pain and suffering, even if he was completely innocent. This means tens of thousands of people, including many minorities in cities like Detroit, are barred not only from receiving compensation for injuries caused by another driver at fault in a car accident, but they are also barred from collecting No Fault insurance benefits. And, based upon a recent change to our mini-tort law, they are now also barred from collecting the mini tort for car damage caused by an at-fault driver. These incredibly harsh penalties, including having the constitutional right to a jury trial, have been taken away from these largely African-American accident victims. And no one seems to know about this or want to talk about it. As an attorney protecting auto accident victims for nearly 20 years, not a week goes by without someone calling my office about a loved one being killed, paralyzed or having a limb amputated. Yet nothing can be done for them because the accident victim did not have auto insurance — even if they were killed by a drunk driver, or were sitting at a red light and rear-ended by a truck driver on drugs. These completely innocent people get nothing. I say this is a civil rights issue because our law is disenfranchising tens of thousands of mostly black, inner city Detroiters. The weight of this law falls disproportionately on these drivers because they are more likely to be driving uninsured. The insurance companies and the Republicans knew exactly what they were doing in 1995, and the case that upheld this needs to be overturned. The article also referenced that because of unaffordable rates, there are ever-growing number of people carrying fraudulent certificates of insurance. While most of these people are not hardened criminals trying to beat the system, they are still being punished with misdemeanors or felonies. This horribly unfair, as you have hard-working people struggling to make it who are punished further. If they are punished with a felony, their ability to get jobs and thrive is negatively affected. Trevor Coleman did a great job of illustrating the safety crisis for Detroiters who cannot afford auto insurance and are unfairly charged higher rates. This is not the case. That is simply what the insurance companies want you to believe. Capping No Fault medical benefits does nothing to lower rates and the insurance industry and lawmakers who push such dangerous measures have shown no proof that premiums will be lower. Capping medical benefits will only hurt the people who need the protection of No Fault insurance the most – the otherwise uninsured who suffer catastrophic personal injury and who live in cities such as Detroit. The real answer is to allow our insurance commissioner to regulate excessive insurance company profit margins the No Fault insurance that we are forced by law to purchase. This would lower insurance premiums immediately, while preserving vital legal protections for the rest of us, especially Detroiters.